Greetings in the New Year! All of us in the PSNI Network send best wishes for health, peace and prosperity to our many friends. We look forward to continuing to work together to achieve development through sport. This February 2016 Newsletter gives highlights of some Network activities over the past year and a preview of some to come in the months ahead as we strive to accomplish our mission in Africa and in the USA. PSNI has organized the GPG for fifteen consecutive years and produced the GPG Report and Certificates to recognize the participation of each of our local colleagues who embody the spirit of the GPG. PSNI pays tribute to their amazing GPG events and achievements. The 2015 Report and the special messages from the UNOSFP and Football for Hope/FIFA are available on the PSNI website. The new year began for PLAY SOCCER Ghana with a resounding win of Manchester City Football Foundationâ€˜s recent Cityzens Giving Campaign. 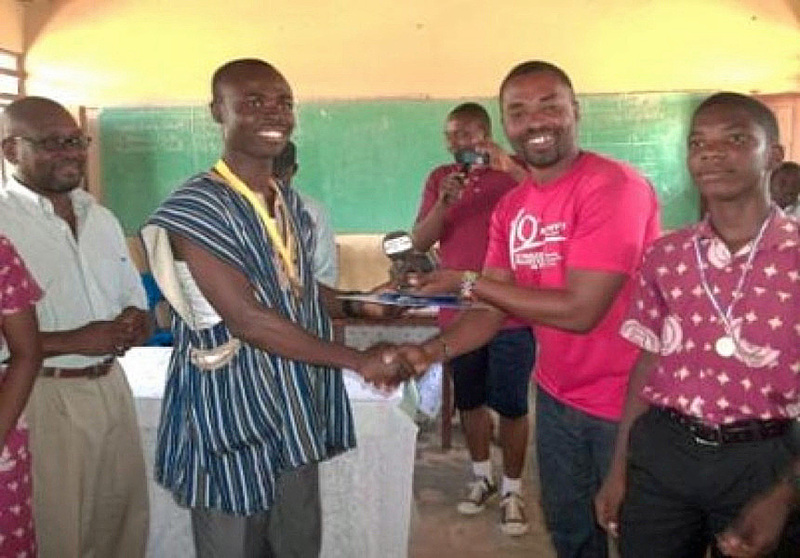 Garnering the most votes among other impressive competitors for its â€œKicking for Changeâ€ proposal, Play Soccer Ghana will receive a grant of Â£98,054 from the City Football Group to support its core Play for Fun, Learn for Life program, its homework mentoring program, and Street League programs. 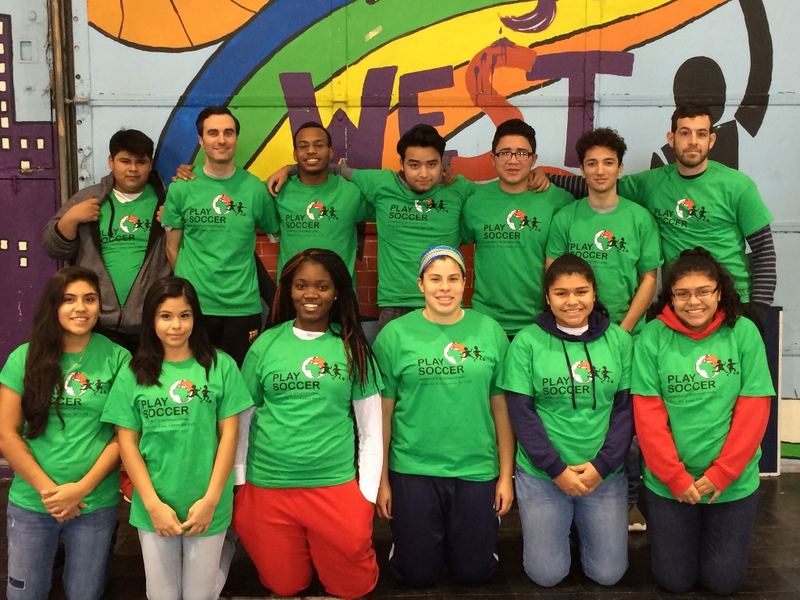 Volunteers from the Lattitude program have provided important support for the homework mentoring program as well as to expand the program into 5 schools. 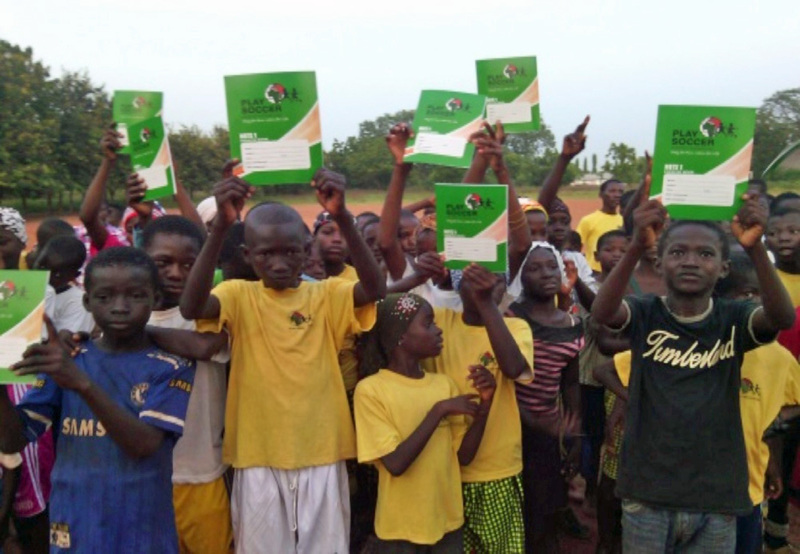 More than 13,000 children took part in the Ghana program last year at 10 sites throughout the country. Ghana also scored another success with a Multichoice award, expanding its access to quality educational TV channels and programs. These programs will be available as part of the MultiMedica Center and for homework/educational mentoring programs at the Football for Hope Center in Cape Coast. Building Ghanaâ€™s human resource capacity to improve the quality and delivery of the core program continues to be a key objective. In addition to the leadership skills gained by the two women volunteer instructors selected to attend the 2015 UNOSDP leadership workshops in Sweden and Germany, Ghana opened 2016 with a three day training workshop in January for 43 volunteer instructors. Ghanaâ€™s key event of 2015 was the Global Peace Gams for Children and Youth which was celebrated at each site throughout Ghana under the themes respect, tolerance and solidarity to improve health and education for all. Play for Fun, Learn for Life (PFFLFL) opened 2016 with access to its first official office space, thanks to its new Board Chair, Duke Maseko. Duke arranged the use of space at the new modern building of the AREBAOKENG Hospice and Palliative Care facility, in Thembisa and at adjacent church facilities. The Board is energized with new officers and Directors, and management was pleased to deepen its female leadership with the appointment of Mokgadi Ramotsokla as Program Manager. Mokgadi, 28 years old, has been associated with the program for many years, including a youth leadership project when she was selected to climb Mount Kilimanjaro. She is an avid football player, with some 25 medals, honored by the Alexandra football association, and with her D coaching license, runs her own football team. Two other female volunteers add additional skills as site managers. Smiley Chego attended the 2015 UNOSDP leadership workshop in Sweden and Nonjabulo Pamella Mavuso was tapped by South Africa Youth Leadership Network (SAYLIN) as a youth representative. 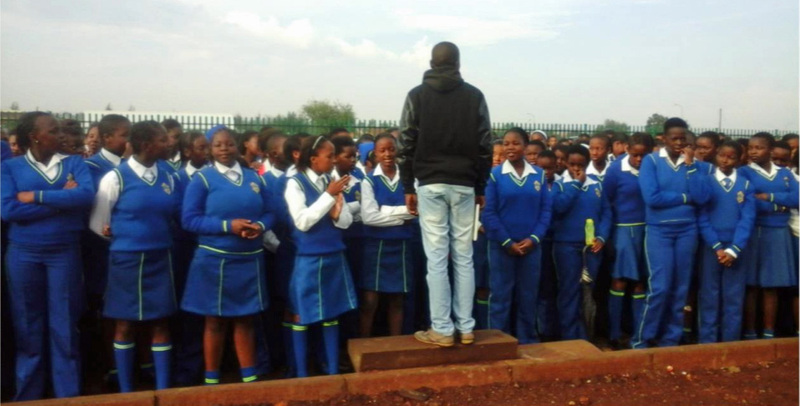 PFFLFL will continue to operate its two program sites in Ekurhuleni, Gauteng Province and to work closely with its elementary schools. Approximately six hundred children from Tembisa (Winnie Mandela Park) and Rondebult are expected to register for the programâ€™s twice weekly sessions to learn health, social and soccer skills. Seventeen youth instructors recruited from the community will implement the program at the community playing grounds of the Reagile Primary School and Rondebult Primary School. The community relies on FFLFL to play an important role in its various initiatives on health and social issues. The local drug action committee (LDAC) requested assistance during the Thembisa drug abuse campaign to prevent youth involvement in crime and drugs. Working as part of LDAC leadership, and in partnership with SAYLIN, PFFLFL instructors formed a football club open to all age groups, providing a social inclusion league program registered under Midrand Football Association, street football games, and leadership programs for children. And in partnership with the Social Development Committee PFFLFL provided a tournament and a local youth beauty contest, and also sent 2 children from the PFFLFL program to participate in a national forum on drug abuse issues. PFFLFL was called to play an especially significant role during the xenophobia attacks, reaching 10,000 people through community meetings to help stop the attacks. The program will continue to strengthen its health focus on the prevention of both non-communicable and communicable disease and to demonstrate the broad relevance of football to public health and socio-economic development. In 2015, PFFLFL hosted two student interns from Princeton Universityâ€™s Center for Health and Wellbeing in the USA, part of a PSNI collaborative project with the University of Witswatersrand Medical School in Johannesburg. The objective of the project was to begin to develop assessment tools to measure the impact of the PFFLFL program as a complex community public health intervention. The small USA program in Appalachia, near Athens, Ohio and the new large program in Trenton, New Jersey are both successfully underway. 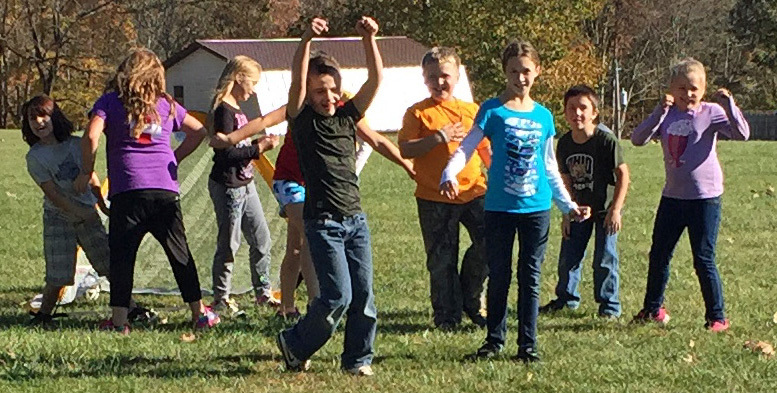 PLAY SOCCER Appalachia opened in the fall of 2015 for about 20 children as part of an afterschool program at the Trimble elementary school. Katelyn Tondo-Steele, the Program Director/medical student at Ohio University, who is assisted by two other medical students, also has a grant from her medical school to carry out research on girls self esteem in co-educational programs. In Trenton, New Jersey, the new large scale program continued its successful development. Following its opening in January 2015 at community based organizations such as the YMCA, the program has expanded according to plan. Throughout last summer, as part of the project collaboration with Princeton University/Center for Health and Wellbeing, PSNI worked to build program sites and to begin to design a methodology to assess its impact as a public health intervention. In the fall with approval from the Trenton Board of Education, the program began operating in targeted Trenton elementary schools as well as at its community based partners, and in one of the community recreation centers, operated by the Cityâ€™s Department of Recreation. Trenton is making a major effort to rebuild its recreation programs and PSNI plans to significantly contribute to this effort through its Community Development Block Grant activities. The program has now reached more than 200 children with approximately 15 volunteer youth instructors, and aims to reach 500 children before the end of the grant period in August 2016. PSNI is most grateful to One World Futbol Project which has generously just made a new grant of 40 balls to Trenton, a most welcome addition to our stock of program equipment. An alliance with Trenton High is building a corps of student volunteer instructors and simultaneously strengthening the feeder system for the Trenton soccer program. The lack of facilities for indoor soccer is problematic in Trenton, and the recruitment and placement of volunteers is logistically complicated. PSNI is confronting many new legal and administrative issues and costs to comply with New Jersey law. Invaluable support and advice has been received from the ProBono Partnership, a non-profit organization, as PSNI learns how to address these new complexities. In another USA development, PSNI has decided not to reopen its small program in Los Angeles in 2016. Adequate funding to provide management capacity for program development and supervision is not available for the LA program at this time. PSNI will provide a more detailed update on the limited activities in Senegal, Cameroon, Zambia and Malawi in the next (early summer) Newsletter. PLAY SOCCER MALAWI worked through 2015 with special UNAIDS activities in collaboration with the Football Association of Malawi (FAM). It served 500 children at its site in Blantyre. In Cameroon and Zambia PSNI continues to try to search for new modalities for sustainable program operations. In Senegal, Ms. Maie Ayoub, a retired UNICEF Representative, is leading the efforts to reopen the Senegal program. PSNI is making progress updating documentation and is exploring donors to resume the program. PSNI sends special thanks to volunteer Aaron Coats who has spear headed social media and fundraising efforts. Check our Facebook page and visit our website to see the short videos produced by the Princeton University students last summer about their internship experiences with PSNI in South Africa and Trenton. Please contact PSNI or the Network countries directly for any information. We welcome your interest and suppor!